Sometimes, a smoothie just doesn’t do the trick. Instead of drinking your breakfast, maybe you want to eat something. You know, chew! This Protein Parfait with Muesli is perfect for those occasions when you’re looking for heartier breakfast fare. Hearty in the sense that it’s satisfying and nutritious, but not food-coma-inducing like eggs benedict or french toast. This breakfast parfait is creamy like a pudding, with plenty of protein, healthy fat and fiber to help you feel full for hours. A scoop of plant-based yogurt adds gut-healthy probiotics. Plus, you’ll get lots of skin-beautifying, cancer risk-reducing, anti-aging antioxidants from a handful of fresh berries. 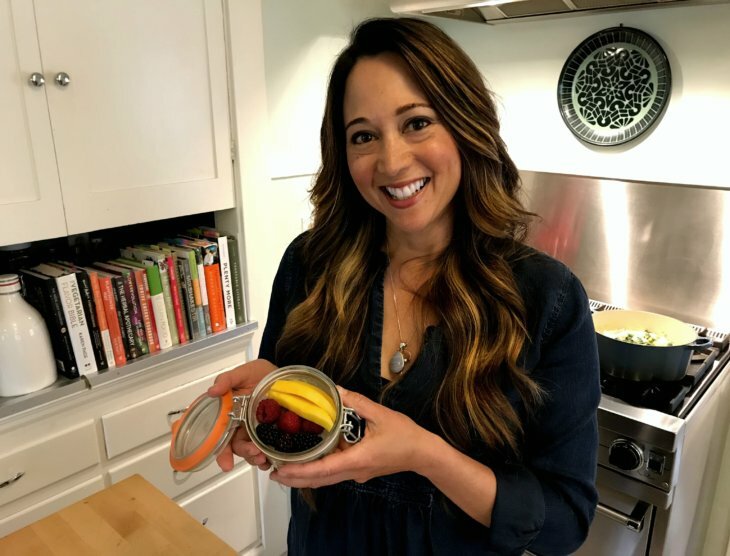 This recipe was inspired by Jessica Murnane’s interview with author Robyn Youkilis on One Part Podcast. 1 tablespoon of your favorite plant based protein powder (I like Vega Protein Smoothie Powder, vanilla flavor). *Note: Many protein powders include stevia as a sweetener. If so, you probably won't need any additional sweetener. 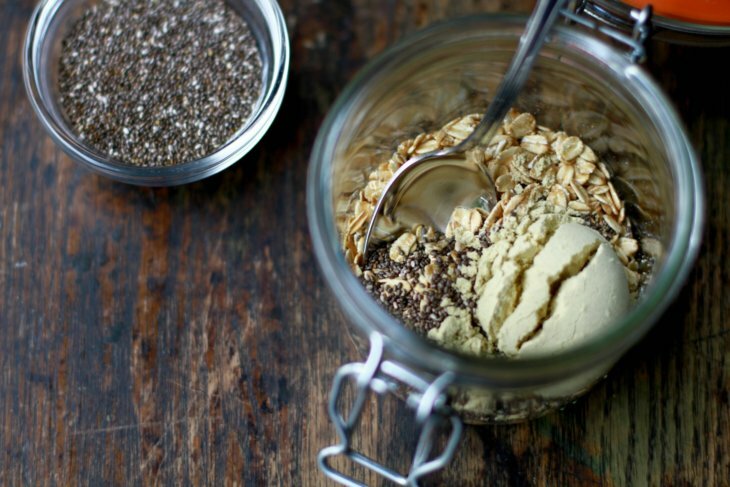 Add the muesli, protein powder, and chia seed to a pint sized mason jar. Stir. Then, add the yogurt, plant milk, and vanilla. Stir well until everything is incorporated. Screw on a lid, and store in the refrigerator overnight. In the morning, add your berries on top and a splash of plant milk, if desired. 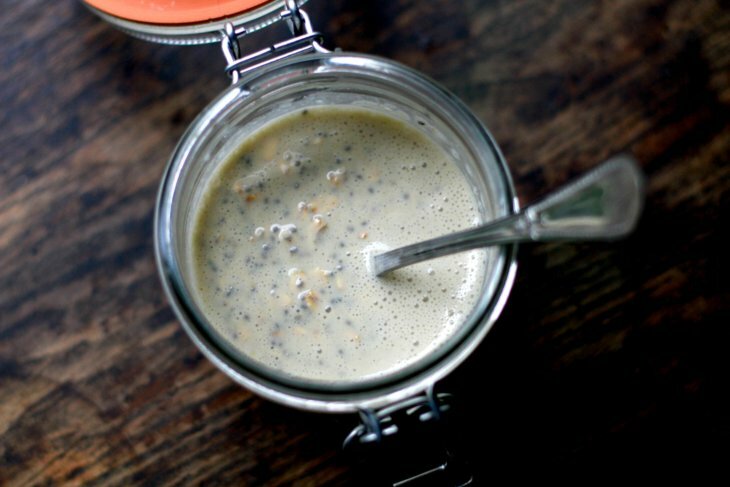 If you used protein powder without sweetener (or stevia), drizzle with a teaspoon or two of honey or maple syrup.